High pressure out west will continue to dominate the weather pattern as monsoonal moisture continues to bring isolated showers to the region. The high-pressure ridge strengthens early next week keeping temperatures well above norms through July. Central Mexico will see typical warm and humid conditions with showers possible on most days. Areas to the north will see similar precipitation with above average temperatures. A weak frontal system moves through Florida from the north this week followed by another system from the south early next week. 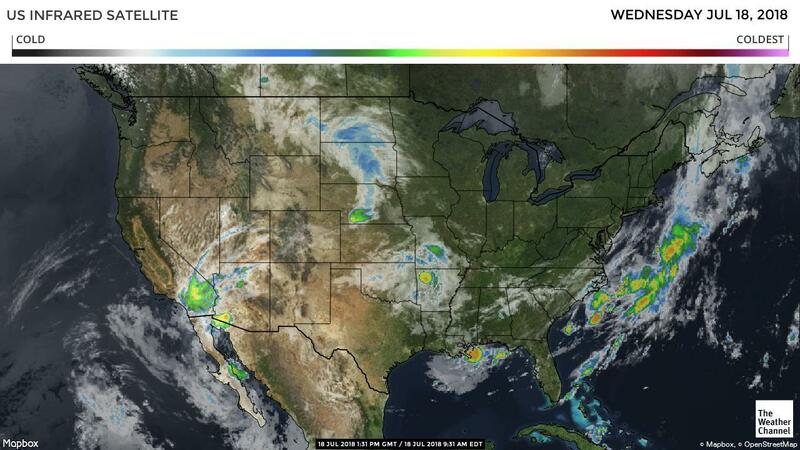 Both systems will bring widespread showers and thunderstorms to the state with seasonal temperatures. California trucks remain tighter than normal. Look for capacity to remain tight thru out the summer months. Washington apple truck supply is steady. Idaho potato trucks remain steady as well. The national average on diesel remained steady this week and is currently at 3.239 per gallon. An increase of .748 from this time last year. 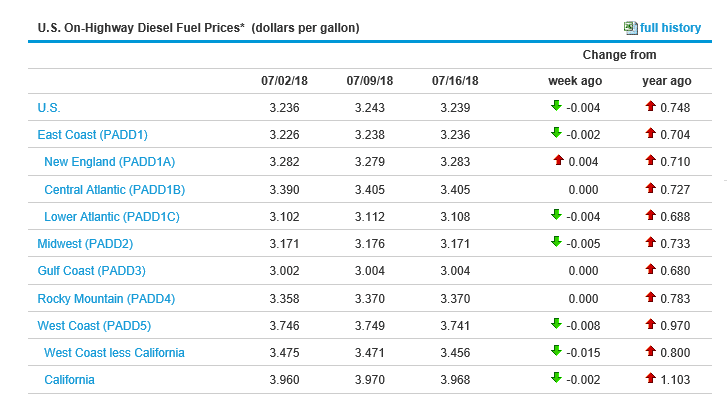 California prices remained steady as well and are now at 3.968 per gallon. Crude oil dropped this week and is currently at 68.08 per barrel. Berries (Blueberries): Excellent supplies and aggressive prices being offered. Berries (Strawberries): Due to the recent heat, strawberries are showing darker color and soft fruit. Markets are higher. Supplies are limited. Citrus (Lemons): Demand greatly exceeds supplies. Potatoes: New crop Washington russet to start up in a light way next week. Idaho scheduled to start the week of August 6th. Potatoes (colored): California has made the transition to Stockton. Big Lake, Minnesota will start the first week of August.